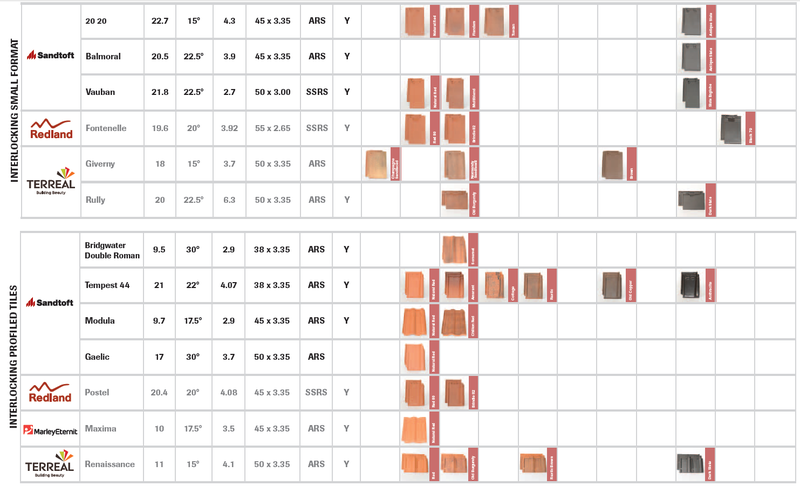 With the widest range of clay tiles from the UK’s leading manufactures, we’re perfectly positioned to support all of your needs. 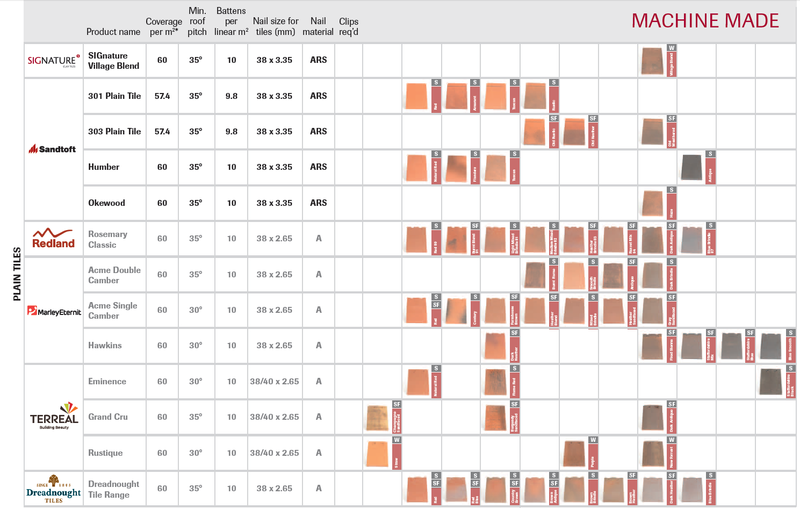 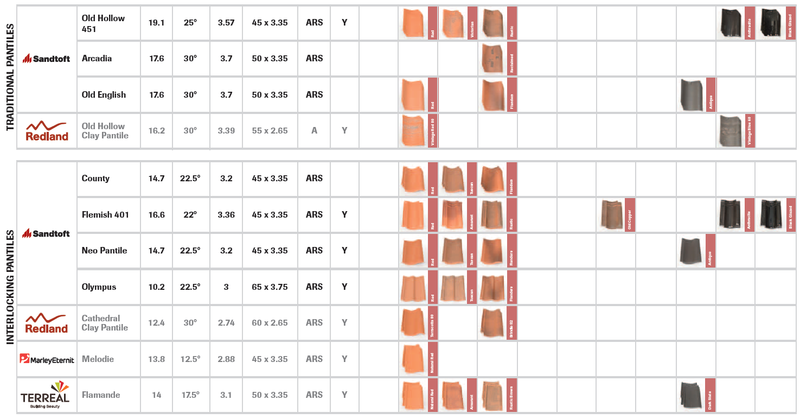 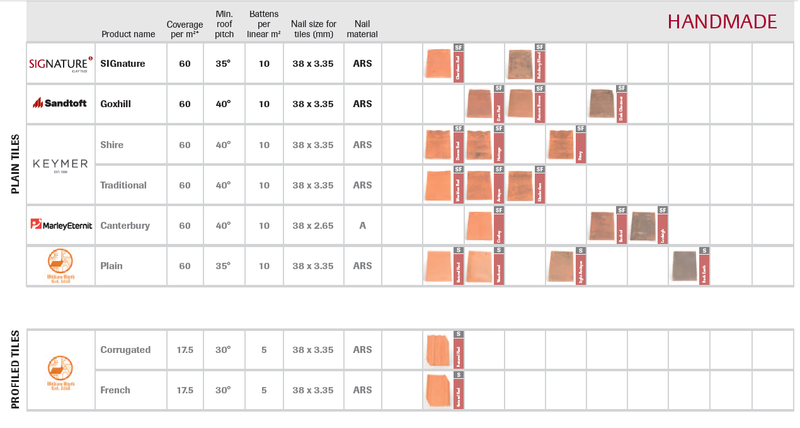 We understand it’s more than just colour you need to know, so use our Clay Tile Selector to help you identify; Profiles, Minimum pitch, Coverage rate per tile, Nail size required, Finish required: smooth, sand faced, weathered or alternative tile options. 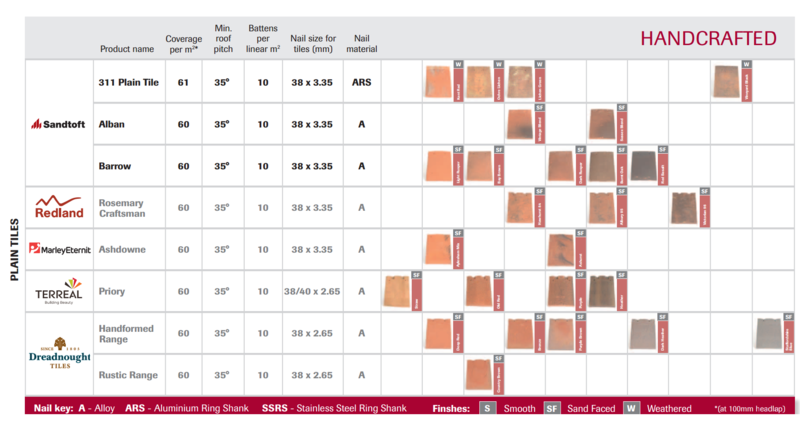 To download the chart, please click here.